Let's face it. Not everyone wants to clean the roof or exterior areas of their property. Sure, we all want our homes or businesses to look great, but we're not always up to the task when it gets down to getting the work done. A to Z Softwash can take on these difficult exterior cleaning projects for you. There's no easier way to have sharp looking curb appeal than by calling our professional Cape Cod Roof Cleaning Company. 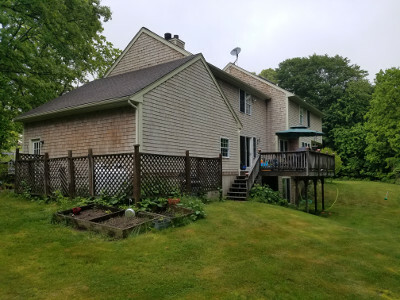 You'll love our exterior house washing, fence washing, commercial hood cleaning, window washing, and other pressure washing services in Hyannis. Take a look at some of our latest roof cleaning projects on this site and then give us call for an estimate. We can make an amazing difference for your home or business in Hyannis too! After the winter weather in Massachusetts, our roof tops can be left darkened and stained by the environment. If algae or mildew set in, the roof can look even worse. If it's been some time since you've had professional roof cleaning service in Dennis, maybe it's time to consider calling someone. Professional roof cleaning services can make a big difference in how your home or commercial exterior looks. 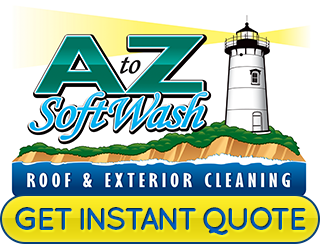 For the best service, call A to Z Softwash. 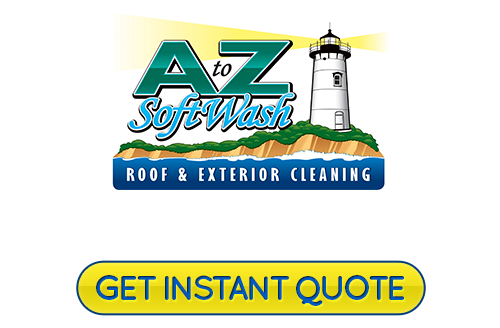 We use safe softwashing techniques to remove years of grime and stains from your roof. It's likely that your home and how it looks is important to you. From the exterior, the curb appeal is the first thing that neighbors and guests see. It's also the first thing you see as you come home. Over time, the elements make the exterior look dull. In fact, on surfaces like cedar siding, the entire exterior can turn black if the owner doesn't keep up with house washing. Using our eco-friendly house washing solutions, we can safely and effectively clean your home's exterior. We'll make your siding and other surfaces look beautiful once again. Call us today if you are ready for a house washing estimate in Dennis. If you would like an estimate for Roof Cleaning or Fence cleaning in Dennis, please call 508-209-7795 or complete our online request form.